This entry was posted on January 14, 2019 by Apex Magnets. Having pictures of your friends, family, pets, favorite places, or anything your heart desires in view will leave you feeling amazing. This DIY craft will transform your images into polaroid inspired magnets you can stick on your fridge, inspiration boards, desk cabinets -- you name it! 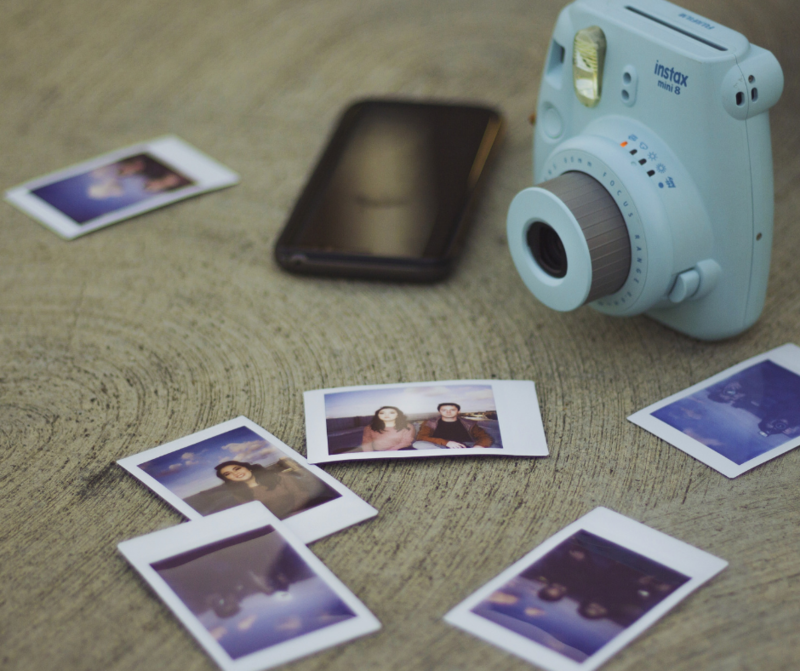 If you have a Polaroid camera already, you can skip the first two steps and paste your already printed out polaroids onto the foam! Select and print photos of your choice. To make sure they’re all the same size and style, we suggest cropping the dimensions to be 1” x 1” before you print them out. This will also allow you to have control over the final image being printed. Place images on the foam board and sketch small rectangles that are slightly larger than your photo squares -- you can use a ruler to be precise. If you have 1” x 1” images, shoot for 1.15” x 1.4” rectangles to give you the “polaroid” border, but you can make these borders however you want. Spray the foam board with adhesive and smooth the photos on it. Wait a few minutes for the adhesive to dry. Use the X-Acto knife to cut the foam board around its edges first. Then, cut individual photo rectangles. Take scissors to clean up each photo’s edges as needed if the foam is sticking out. With the scissors, cut the magnetic strips to be roughly the same size as each frame. Adhere the magnets to the back of the frames. That’s it! This craft can be done in as little as minutes, leaving you with miniature masterpieces to fill your home or office. The best part? You can make these over and over in whatever size you want as long as you’re using magnets large enough to hold the images and foam! Bookmark this page and repeat this craft every few months to have an ongoing snapshot of your life to enjoy. Apex Magnets aren’t just for industrial purposes - you can use them for basic around the house tasks and crafts too! Keep an eye on our Magnets for Crafts blog for more DIY projects. This entry was posted in Magnets for Crafts and tagged DIY Magnet Project, DIY magnets on January 14, 2019 by Apex Magnets.